My First World War story concerns my grandfather, Pádraig Thornton (1889-1969), also known by his Irish surname Ó Droighnéain. Born in Moycullen, County Galway, a village seven miles west of Galway city, he lived a life immersed in politics, and was deeply touched by the times he lived through. His wife, Lena (1894-1977), and their seven children carried out most of the labour on what was a diversified farm that provided well, producing enough to sell and make a profit, despite being a fairly typical, modest-sized West of Ireland farm. As an asthmatic and the only surviving child of twelve births by my great-grandmother, he had been encouraged to rest up, and was given the time to read and learn. He attended the local village school gaining fluency in English, Greek and Latin. A native Irish speaker, he was bilingual, choosing to speak Irish at home and English when he had business in Galway city, or had to represent his own or others’ interests to the authorities. During the First World War, my grandfather supplied horses, pigs and sheep to the British Army at fairs around Galway. He was also a founding member of a local farmers’ co-operative, in operation from 1914, which supplied butter, eggs and vegetables to the London Market. After the First World War, the co-op was repeatedly raided by the Black and Tans, a notoriously brutal force established by Winston Churchill to impose order during the Irish War of Independence, which began in early 1919. The soldiers recruited into the Black and Tans had been damaged by the experience of the First World War. They ‘were part of a hurriedly constructed counter-insurgency apparatus which included the existing police force, the regular army, secret service detachments and two completely new forces, the Auxiliaries and the Black and Tans’. Many soldiers who had fought in the trenches during the First World War were both unskilled and ill prepared for tackling the guerilla warfare that was happening in Ireland at the time. In guerilla warfare, it is hard to know who the enemy is, so ordinary citizen establishments, such as the Moycullen co-op, were attacked. It went bankrupt as a result of the raids by the Black and Tans, and Lloyds of London, its insurers, refused to pay out because the raids were considered an act of war. My grandparents’ farm only survived because Pádraig signed it over to Lena. Others in the village continued to pay the co-op debts into the 1950s, which served to build resentments that had ramifications beyond the payment of debt. It created enmities that even spilled over into my generation, as I grew up in that village. Unable to adjust back to civilian society after the First World War, the Black and Tan recruits willingly fought in another war, and their actions inflicted terrible financial and emotional hardship on generations to come. 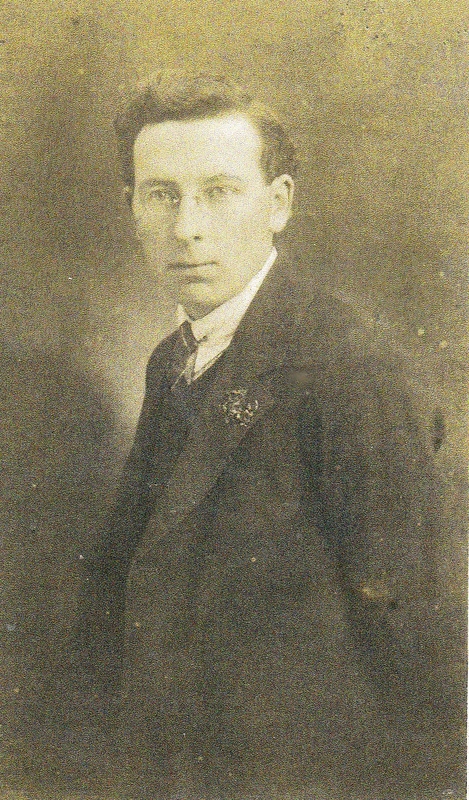 Pádraig Thornton, b. 1889, Moycullen, Galway, d. 1969, farmer, is the relative of Dr Niamh Thornton, Senior Lecturer in Latin American Studies, CLAS. This entry was posted in Black and Tans, Farmer, Irish, Post-war story on February 26, 2014 by painetvin.